It’s been a great day. I made a big breakfast for our crew to start out our day. We went to movies and saw Fantastic Beasts and then came home to get an early start on tomorrow’s meal. It’s been a busy day, but I’m enjoying this evening. 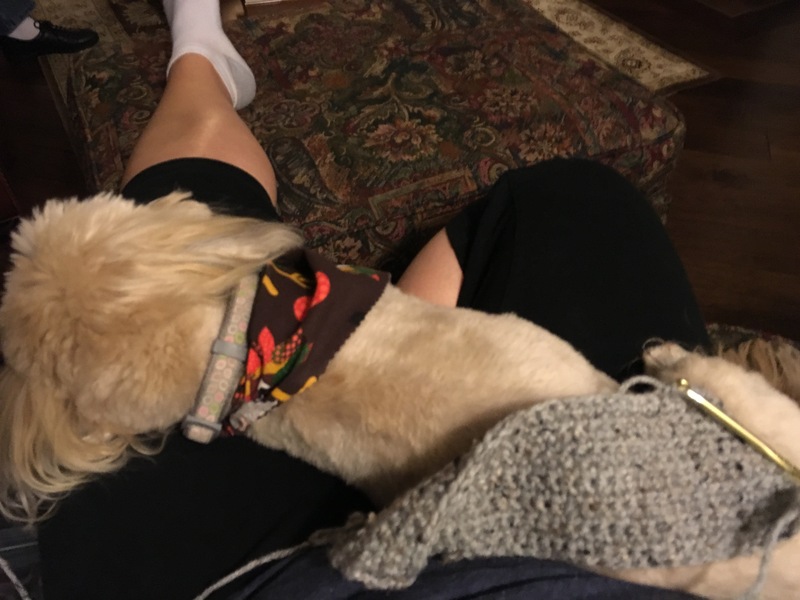 I love having sweet Sadie in my lap as I’m still working on learning how to crochet.